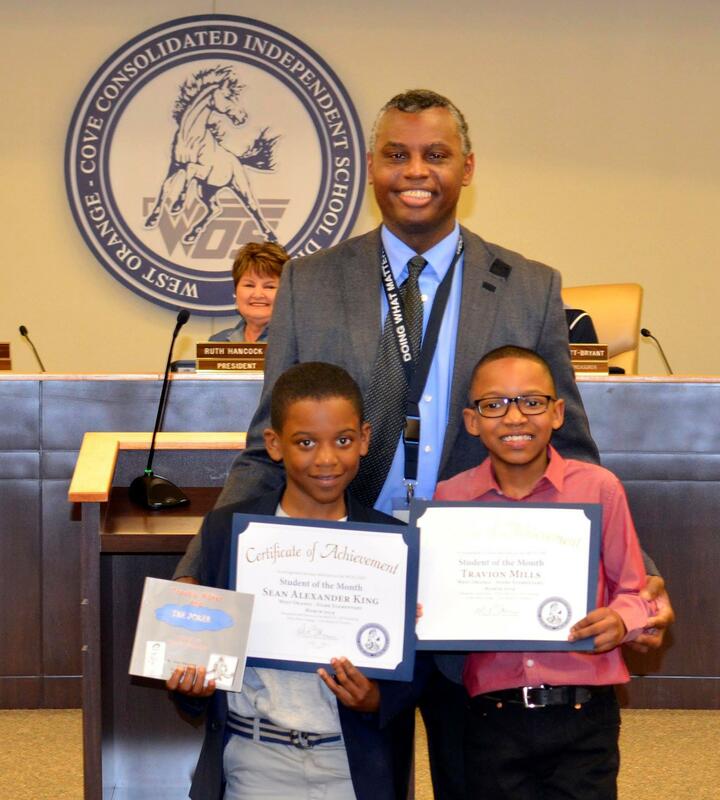 These two young men are West Orange - Stark Elementary School students of the Month! Sean Alexander King is the author and Travion Mills is the illustrator of a book available for purchase on Amazon. The book is: "Trouble Maker and The Joker: Attack of The Elementar"
Sean and Travion are both third grade students who were recognized for their accomplishment in front of the WOCCISD Board of Trustees last night! They are pictured together with Principal Dr. Troy Bethley. Individually they are pictured with Dr. Bethley and Superintendent Dr. Rickie Harris. Great job and congratulations on your selection(s)!